Our client’s staffing needs may vary, but one commonality that’s present in each Uniforce solution is a focus on compliance. With regard to state and federal laws, industry regulations, audits and best practices, compliance may mean different things to different companies. 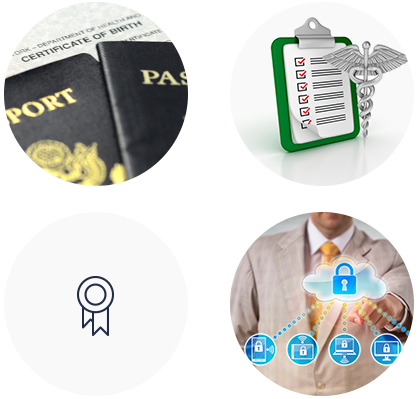 But whether we’re staffing a physician’s office, where a primary area of compliance is patient privacy and HIPAA, or a human resources office where ACA compliance is top of mind, Uniforce is in step with the needs of your company. We also consider the importance of compliance wit regard to the corporate culture and management goals that govern your business, your department, or a singular staffing position. Uniforce maintains an open line of communication with every client that extends beyond filling an empty seat. Our clients choose us because they know that we work until they are completely satisfied, and have helped them meet their compliance requirements. Accounting and finance companies know when they work with Uniforce that our staffing solutions include compliance with GAAP standards and applicable state and federal laws that govern the industry. These clients are also confident that the accounting temps, bookkeepers or other staffing solutions required will be filled by qualified people who are QuickBooks Certified or trained in whatever applications, systems and processes that run their agency, office or department. Our HR clients know that in addition to ACA compliance, the staffing candidates they’ll meet are familiar with payroll compliance, workers compensation audits, and 401k census discrimination testing. It’s also understood that HR staff will be knowledgeable about the systems that keep human resources organized and compliant, such as ADP Enterprise and ADP Workforce Now. Compliance is another reason that Uniforce maintains such a strong reputation for staffing medical offices, both with clinical staff and administrative staffing solutions. In addition to HIPAA compliance, our medical staffing candidates are acutely aware of Joint Commission (JCAHO) standards that govern the keeping of medical records and the guidelines that pertain to each category of the medical profession. Whatever the industry, you can count on Uniforce for staffing compliance. If compliance is a concern for a staffing solution you need, contact us. If you’re a professional with educational experience and/or certifications that speak to your compliance adherence, and you’re seeking to work with a Uniforce client, let’s connect.